Lots to share with you today! I'll start with another layout from the december SFTIO kit PEACE. 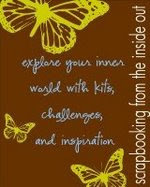 A freebie is happening on the Scrapbooking From the Inside Out blog! Click here to get the info, and jump in on getting your hands on some yummy scrapping stuff! Lastly, 12 tags of Christmas has started! As a huge TH fan, I am totally into it this year, and was so happy to get the first tag done! You can check out Tim's tag here and read all about 12 tags. 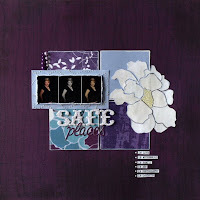 Scrapbooking from the Inside Out has the perfect emotion for the month of December: PEACE. It really goes hand in hand with what the holidays are all about, and it was so much fun creating with the kit for this month. I had so many different directions that I could go in, and I'm sharing one of those with you tonight! 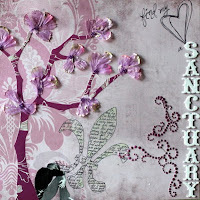 This layout is all about seeking peace in my own life-I love the serenity that the paper brings. Although its such an emotional layout to create, it was easy for me to put my thoughts and feelings into words. I felt like the words were all I needed, and it was an important focal point for this layout. 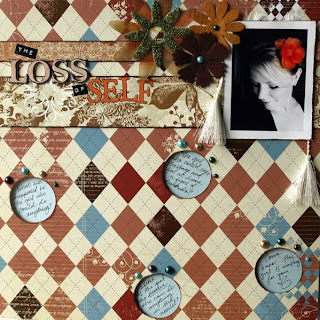 Scrapping about Loss wasn't easy- but it helped in getting me to explore different kinds of loss, and how I felt about each of them. This month is all about what our hearts are aching for-what we wish for, need or want. 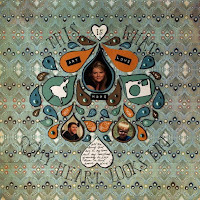 The YEARNING kit is an amazing blend of browns, oranges, and teals. Delicate flowers, rich ribbons and gorgeous shimmering papers. You would never think so many wonderful things could come in a little 12x12 box! Explore your heart and find out what you are wishing for-and what wishes you are willing to put on paper! Dive in! 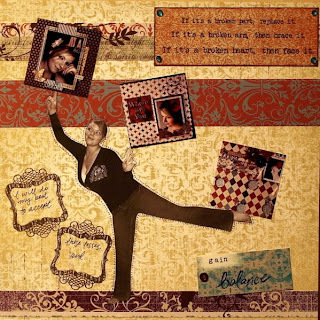 This month, we're exploring STRENGTH at Scrapbooking from the Inside Out. This kit includes Navy, Pale Green, Fuschia, and Goldenrod hues that can really make you think tough! The grungeboard is perfect for creating an altered item, and the gears really make you put your mind to work. I loved creating with this kit- it was just what I needed to work through this month's changes in life. This month has been a difficult one, since the hubby has been away, and the little bug refuses to sleep. But I got good news just when I needed it! Rachel from Scrapbooking from the Inside Out gave me a call this past weekend- and I was just thrilled to hear that I will be joining their new design team. I have been a member of SFTIO since last June, and I am so excited to start creating with the amazing kits they have put together. 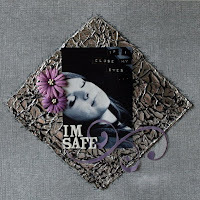 SFTIO is all about expressing your inner thoughts and emotions through scrapbooking. 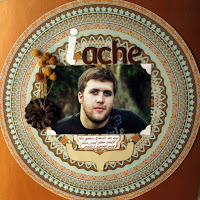 It's really an awesome thing to make scrapbooking about YOU, not just about everyone else in your life. As important as it is to scrap about your family and friends, we really should start being selfish with our scrapping. Our pages can be about us too! You have to make sure to check the site out, it's an awesome place with tons of inspiration! Hope we see you there! Hi all! I'm excited to announce that I'm apart of a fun new design team- Punk Rock Scrappers has hit the blog world, and it is super exciting! Making layouts about all the crappy, yet hilarious parts of life is what it's all about. I had a blast creating our first challenge, and the challenges to come are just fabulous! You can check it out here. Make sure you do- it's awesome! Sharing a layout a made after our crazy snow in NC. I am more than used to snowy weather- growing up in Colorado it was not unheard of to be going to school in 6 inches of snow. But when we got 2 inches in NC this past month, the town shut down and we didn't have any school or work. It was so much fun to be 25 and get a snow day!